ISLAMABAD (October 24, 2018): Healthy behavior, balanced diet, good sleep and positive thinking are the key elements of healthy lifestyle and emotional health, said Dr. Nadir Mehmood, Assistant Professor, King Edward Medical University. 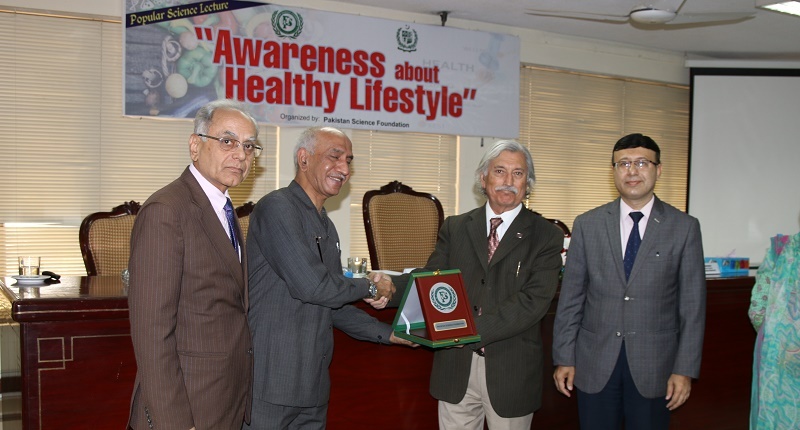 He was delivering a lecture on “Awareness about Healthy Lifestyle” at Pakistan Science Foundation (PSF) on Wednesday. 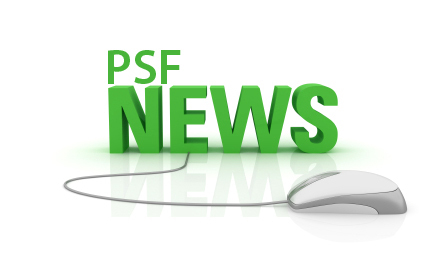 The lecture was part of PSF’s Popular Science Lecture Series under its Science Popularization Programme. 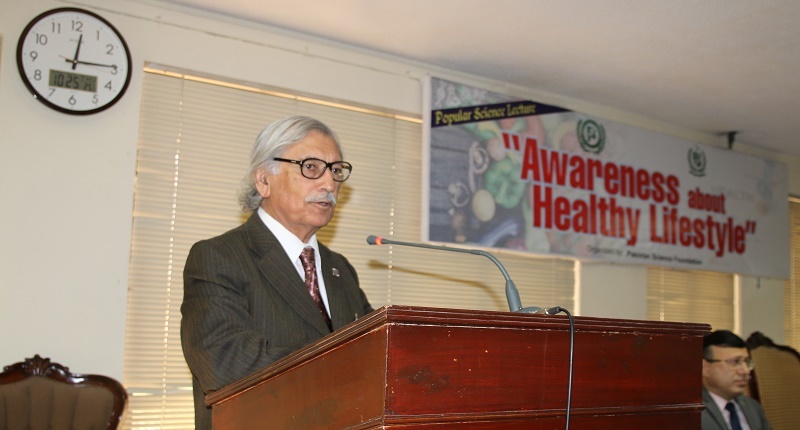 Prof. Dr. Qasim Jan, President Pakistan Academy of Sciences was the Chief Guest on this Occasion. Dr. Mnazoor Soomro, President ECO Science Foundation, Prof. Dr. Akram Sheikh, DG, Pakistan Scientific and Technological Information Centre were also present. A good number of scientists from different organizations, students and teachers from different educational institutions attended the lecture. Dr. Nadir said PSF’s this initiative to invite professionals from various disciplines for sharing their knowledge as an expert with the students and people from different walks of life is a commendable initiative. Speaking on the topic he said according to World Health Organization health is a state of complete physical, mental and social well-being not merely the absence of disease or infirmity. He said that in this age of social media we should carefully evaluate the source of health information by searching out the original source and should be watchful about misleading language. Doing physical activity, getting fit, self-assessment of health, self-planning of health, lifetime activity and lifetime fitness are basic steps to attain lifetime fitness, he said. School is the best place from where we can bring change in our society’s daily lifestyle. The Chief Guest speaking on this occasion said that PSF’s popular science lecture series is a wonderful science popularization programme to benefit the society and mankind. Sharing his experience of good health he said balanced diet, exercise and your own thinking and mental attitude are the three most important factors that lead to good health and lifetime fitness. He said one should be positive towards people around him to attain good mental health. 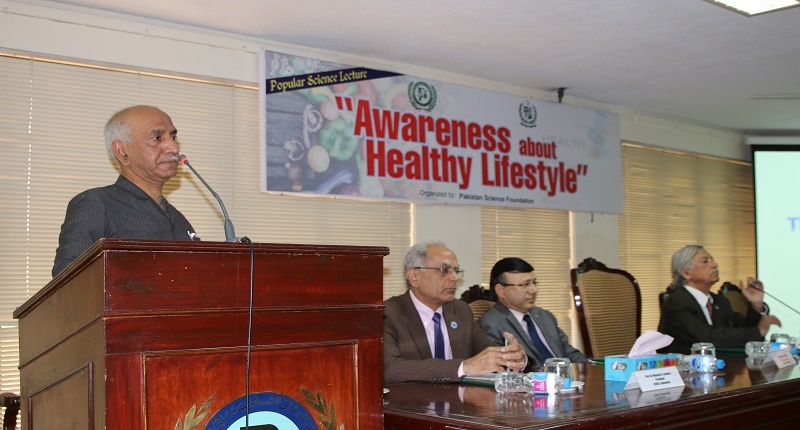 Dr. Nadir Mehmood, Assistant Professor, King Edward Medical University, delivering lecture on “Awareness about Healthy Lifestyle” at Pakistan Science Foundation (PSF) on Oct. 24, 2018.